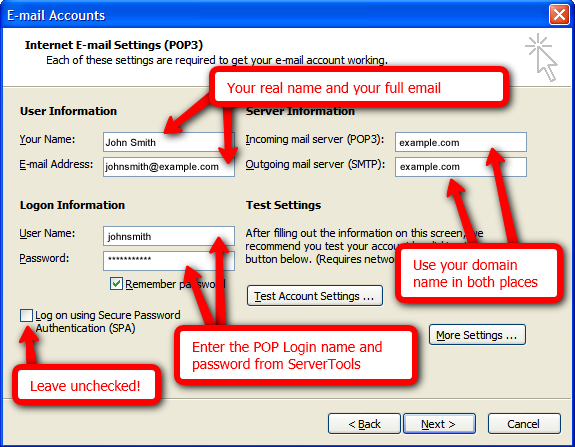 After you have setup a POP email box in your ServerTools control panel, use the following steps to configure your Microsoft Outlook email software to send and receive mail from your new email address. 1. 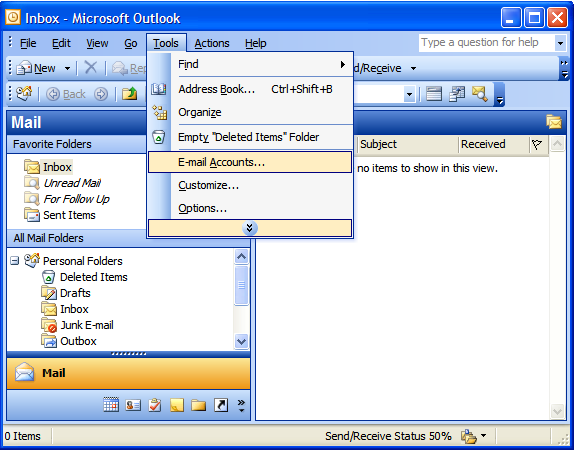 Open Microsoft Outlook, and click the Tools menu and then E-mail Accounts. 2. 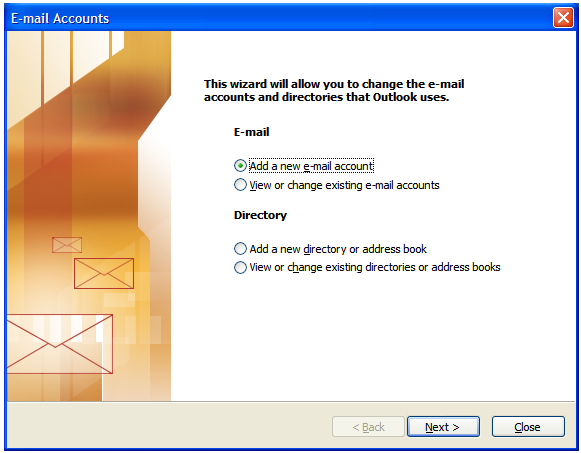 Select the Add a new e-mail account option and click Next. 3. 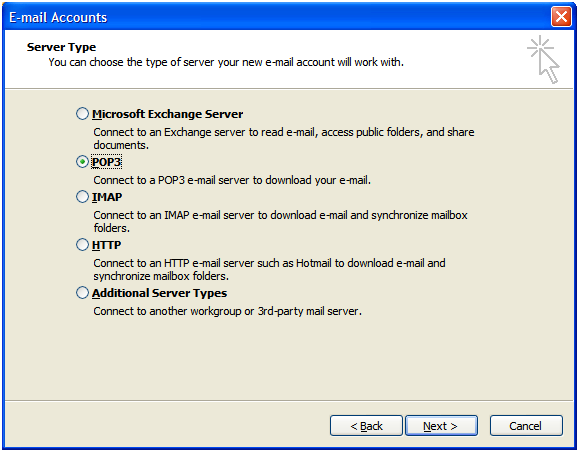 Select POP3 as the Server Type and click Next. 5. 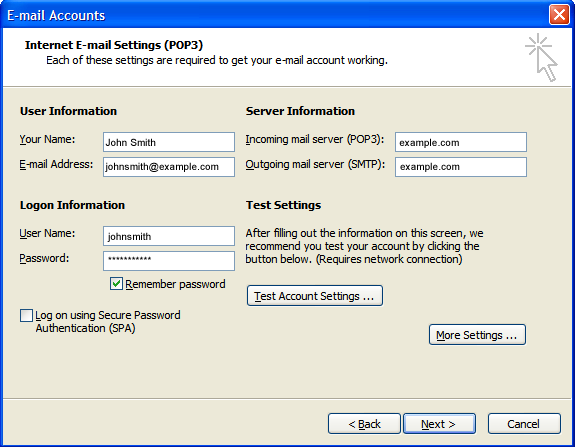 Click on the More Settings button to open the Internet E-mail Settings window. Then click on the Outgoing Server tab. 6. 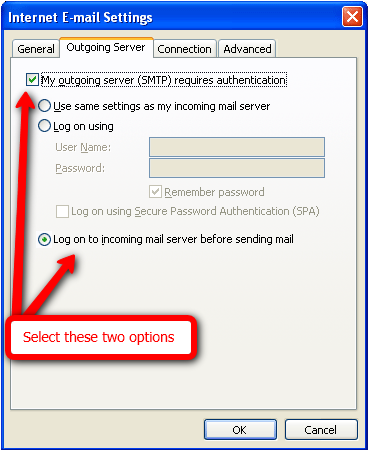 Select the option that says My outgoing server (SMTP) requires authentication and then click the option that says Log on to incoming mail server before sending mail. 7. 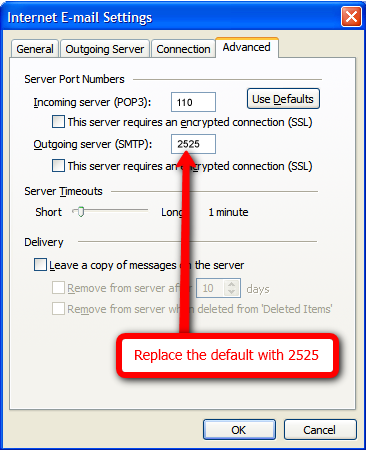 Click on the Advanced tab, and change the Outgoing server (SMTP) from the default of 25 to 2525. Click on the OK button to close this window. 9. Click on the Finish button.